Tribute to Garry Meadows who passed away on Thursday, July 22nd, 1982. 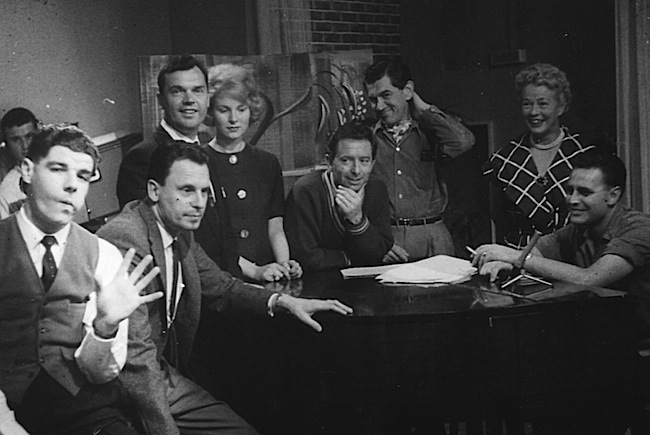 Garry had an early involvement with the stage appearing at the Patch, Repertory and Playhouse Theatres. 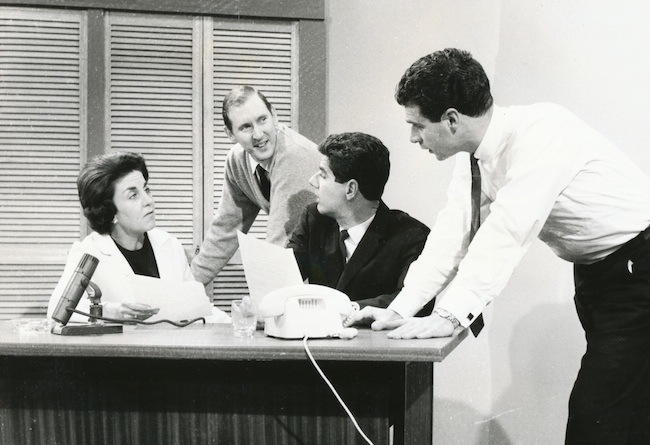 One occasion was in 1957 when Sol Sainken produced a play titled ‘Small Hotel’ by Rex Frost, which starred Garry Meadows and Frank Baden-Powell at the Playhouse. The Playhouse had only been recently built and was opened the year before on 22 August 1956. Two years earlier, the Repertory Club lighting electrician Ian Stimson first met Garry when he was in the cast of “The Importance of being Ernest”. I did the lighting for that show and we both bumped out a lot of the furnishings after that theatre closed up and truck loads of props went to the Playhouse. I worked the first show there when the theatre opened and Garry Meadows was in the cast of “Tea House of the August Moon”. Garry then went on to become a well known radio and television presenter both in Perth and in the eastern states, before his untimely death at 43. 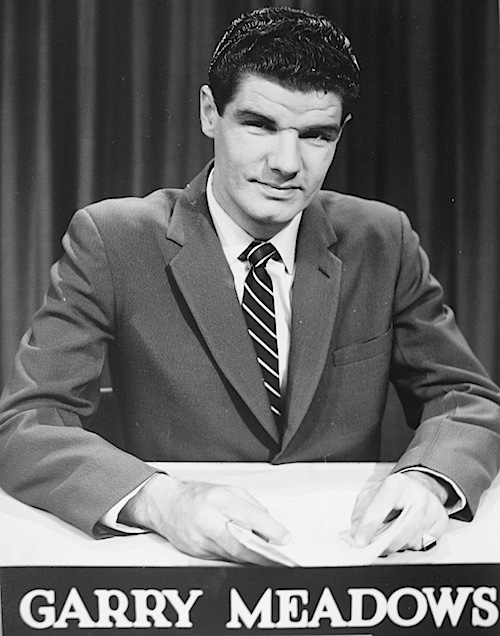 Garry joined radio station 6IX as a breakfast announcer in 1959. 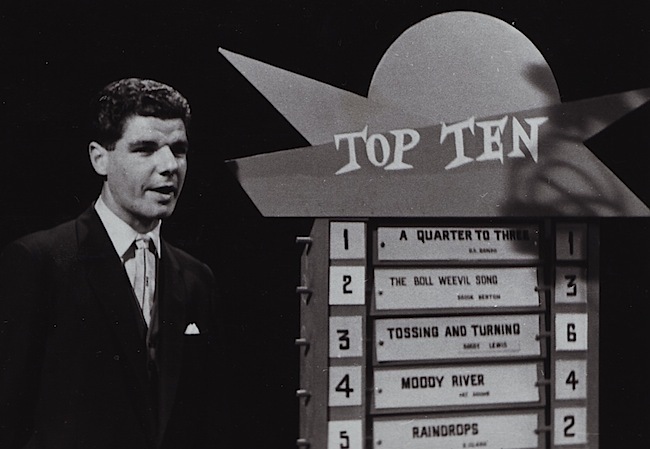 In 1960, he moved into television with TVW Channel Seven as a newsreader and host of the teenage music program Teenbeat, but departed Seven at the end of 1961. Garry was known not only as a great entertainer but also as an interesting character, a bit of a wild one in the early years before he mellowed. 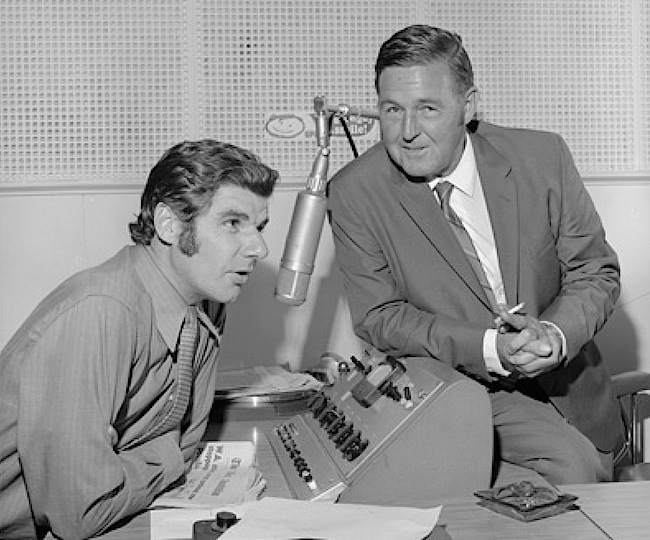 After a job with a Newcastle, NSW, radio station, Garry returned to Perth in 1967 to host TVW’s Spellbound and take over In Perth Tonight from his friend Gary Carvolth. 1968 was a busy time for Garry, who also hosted Perth’s New Faces and was the front man for Bairds department store commercials, compering at the Nan King restaurant, whilst Martin St James performed his hypnotism cabaret act, and being a top radio personality with 6PR. Garry Meadows, was one of the first disc jockeys to incorporate talkback radio into his morning program when it was considered so revolutionary. When he and on-air partner, actress Joan Bruce, made personal appearances, thousands of people turned out. 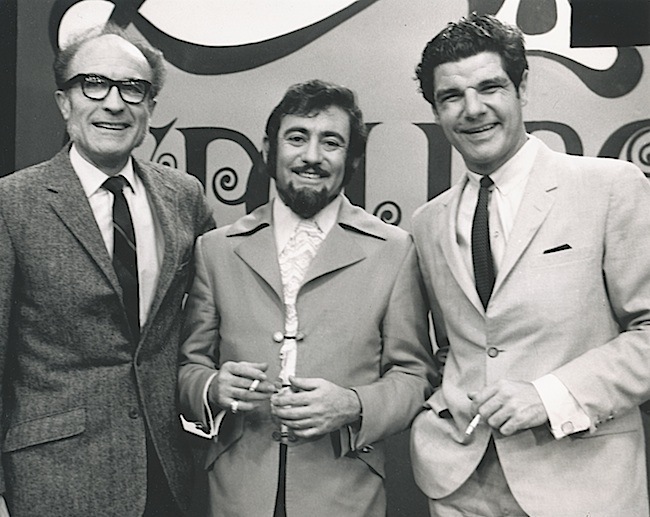 In 1968, Garry was one of the principal hosts for TVW’s first Telethon, appearing alongside Graham Kennedy, Bobby Limb, Stuart Wagstaff and Johnny O’Keefe. In 1970 and 1971, Garry represented Western Australia at the Logie Awards, winning the Best Male Personality category (for TVW-7). 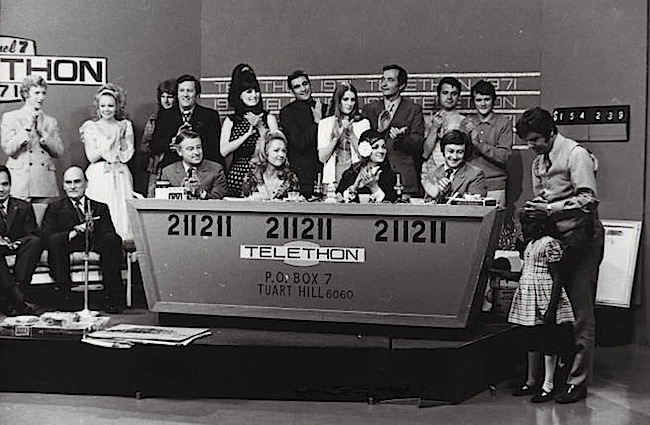 In 1973 he went back to Melbourne to host a national games quiz show The Price is Right (1973-1974) on the 0-10 Network, he also briefly hosted The Newlyweds Game for the 0-10 Network, returning again to 6PR in 1977, but left the station in 1978. 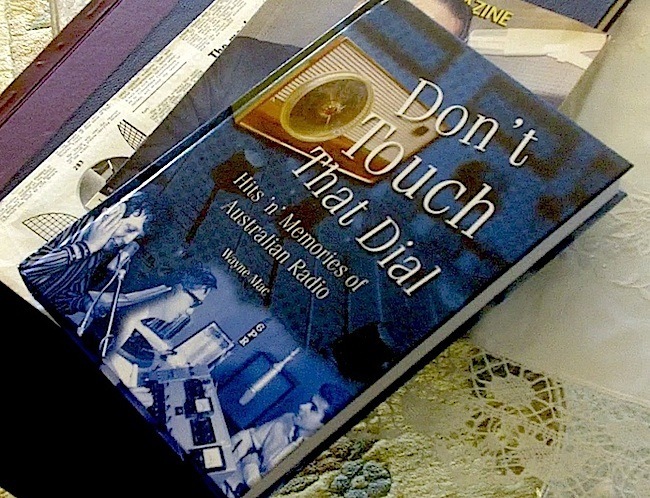 In the excellent book on Australian radio titled ‘Don’t Touch That Dial’ by Wayne Mac, the page devoted to 6PR mentions that Garry Meadows was at the station between 1967 to 1973, and then returned in 1977. 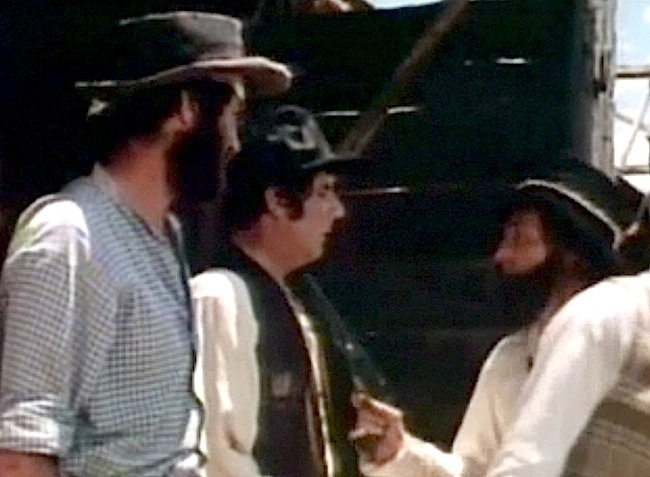 Darcy Farrell kindly points out that Garry made a brief appearance in the 1976 Australian movie Mad Dog Morgan starring Dennis Hopper. Also that year, Garry appeared in the comedy TV series The Bluestone Boys, then in 1977 he was in Bluey, followed by Bobby Dazzler in 1978 and Prisoner in 1980. Garry also hosted the 1980 Christmas Appeal (on TEN). Garrett Seaton (Garry) Meadows passed away on Thursday, July 22nd, 1982. Garry died of a heart attack as he arrived at the 3DB studios in Melbourne for his evening radio program. He collapsed in the walkway at the Herald Building and ambulance-men worked for more than an hour to try to revive him. He had been found lying on his back by a member of the 3DB staff at about 7pm. Garry was due to go on-air at 8pm. Garry was survived by his wife Rhonda and four children, Blake, Kelly, Tonya and Lee. Great article guys. Garry was the master of the one liners and I recall vividly immediately a commen=t he made immediately following the Earthquake on or around 1970. As soon as the shaking stopped, I raced to my radio to see what had happened. Garry was doing his show and his first words were: “What the heck was that? Only my dry cleaner and I will know how that little experience affected me”. I am always touched by the way that my Father is remembered. Especially seeing that this year marks 30 years since he passed away. Thank you very much for remembering Garry, as it is thirty years this year. Garry also appeared as a detective in an episode of “Homicide” (episode 495 – “Antique Murder”) in 1975. “Bluey” was produced in 1976, “Bobby Dazzler” (Garry played himself in an episode, hosting a telethon) was produced in 1977. I met Gary in WA in about 1969-70 I was a Star Struck 11 year old, He talked to me and that was great. 8 years later I worked for ATV 0 (now network 10) when Gary was in the Bluestone Boys. He was a gentleman to know. My best memory was between takes Eric Oldfield (another member of the cast) pulled out his guitar and started to play. He played Lollipop and we were all singing and Gary did the baritone lines. Garry was on-air on radio when the Meckering Earthquake happened. I remember him saying he thought a plane had crashed into the building. Just heard Garry mentioned on Australia Overnight on 3AW, 2UE and 4BC. Presenter Andrew McLaren just said he was on 3DB when he saw Garry, who said he had a pain in his arm, but had to go air, so went to get ready. Andrew McLaren could’ve been the last person to speak to him, or could’ve been the 3DB staff member to find him. I am sad to hear about Gary Meadows dying so young. I remember the earthquake. When Garry returned to his desk to explain what had happened, I remember him saying ” put the kettle on, we have just had an earthquake”. He also talked about a woman, possibly a switchboard operator, trying to run out but being pulled back by her headset. This was around 1968. He was the voice of west Australian radio at that time, and appeared on television on fund raising events and a series about hypnosis. He was a celebrity that felt like a personal friend. I left Australia in1972 so my memory of this time is still clear. A really good tribute thank you wasnt garry also on the 70s game show charades? of sad that not much has been said of Gary. always bobs up when we’re feeling a little nostalgic. Such a genuine character, a person you’d always wanted to be in the presence of, sadly missed. Gary Meadows. 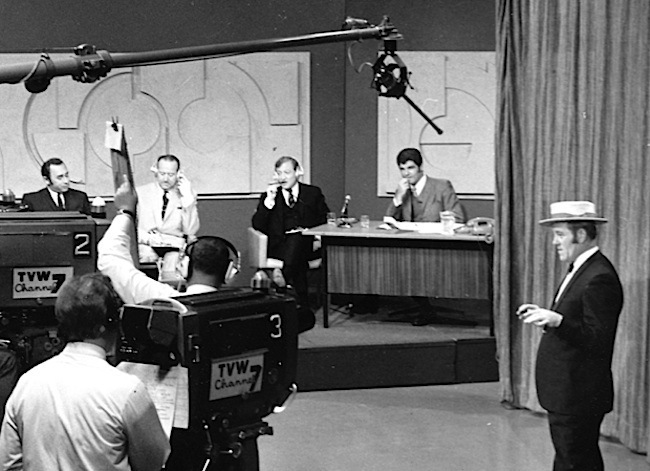 I’ll tell you who Gary Meadows is (not was) in the Galaxy and its history: you place Dave Letterman and Johnny Carson and Phil Donahue on a platform together, and Gary Meadows is simply not out-classed. At any level – human rapport, generosity of spirit, amiability, common sense, confidence in front of the public and in front of great people. But what does this mean – Western Australia is the quietest ‘global leader’ that a lot of the world is mostly not aware about. But it is nevertheless a world leader for all of that and never under-estimate it or its people. The end. My wife and I were in New Faces in the Final (Can’t remember which year) and about 6 months after that Faye and I were walking out of her office building and Gary saw us and said hullo to us by name. He had an incredible memory.